Building a marketing campaign in SiteWit is very simple. We first recommend completing the business profile, as we can use this information to help you get started with any product faster. Next, head over to the Google Marketing tab, and select Get started. We’ll first collect some basic information regarding your business and your goals for marketing. We’ll ask you where you want to target your marketing efforts. You can pick a country, multiple states, or multiple cities. Next, you will start picking some keywords you wish to capture people searching on Google for. We’ll use the products or services that you provided in step one to recommend the most popular searched keywords on Google. If you rate the keyword high enough, we’ll use it in the campaign. If not, we’ll discard it and recommend new ones. 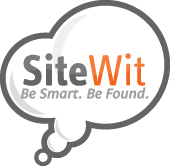 If you are having a hard time finding the right keywords, contact our support team at support@sitewit.com, and we’ll make sure to get your campaign setup to perfection. Lastly, we’ll ask you to build us a sample ad. This ad will simply have a headline, and two description lines. You can use your own text, or pick one of our recommended options. After the campaign has been purchased, our review team will make sure that the keywords and ads you have selected are nothing less than stellar! And that’s it! With 3 simple steps completed, you simply need to review your content and select the budget you wish to checkout with! I started a campaign, but haven't finished it, will it be saved? What if I want to change my budget mid-campaign?